AmeriCorps VISTA Capacity Building Coordinator Needed NOW! The AmeriCorps VISTA program has an open position for an AmeriCorps VISTA Capacity Building Coordinator. AmeriCorps VISTA is a great opportunity to learn new skills, make new friends and network all while having the opportunity to truly create change in our community. The AmeriCorps VISTA Capacity Building Coordinator position must be filled by this Friday, May 28, 2010. All interested applicants should review the position description below and contact Danny Horen at 702-892-2367 as soon as possible. Not sure if VISTA is right for you? Meet our current capacity builder Natalie below and see why she chose to serve as an AmeriCorps VISTA member. Don’t forget the deadline to apply is only days away so contact us immediately if you have any questions. You can also learn more about the AmeriCorps VISTA program HERE. If full time isn’t right for you or if you’re looking for a direct service opportunity United Way of Southern Nevada’s AmeriCorps program will be recruiting part time AmeriCorps members. You can find out more about the AmeriCorps program HERE. What is your favorite thing about your AmeriCorps position? : I love the team I work with at the Volunteer Center. They are funny, amazing, and beautiful people. I also love doing huge service projects in the community, meeting awesome volunteers who want to make positive change, and interacting with great non-profits around the valley. What is your favorite place to eat in southern Nevada? : I love Streets of New York pizza in Centennial Hills for a great slice of pizza. I also love going to Roberto’s for a carne asada torta. What is your favorite thing to do in your spare time? : Chilling with family and friends, reading, spending time outside, playing the guitar, volunteering, eating out, and shopping. What is your favorite thing to do or place to go in southern Nevada? : Red Rock. My favorite area of Red Rock is the sandstone quarry. It is a really cool area to hike or have a picnic. What is your favorite movie or TV show? : I am a big American Idol fan. What are your plans after AmeriCorps? : Attending law school this fall to study public interest law. Why AmeriCorps VISTA? : I joined VISTA because I was involved in social justice and service activities in college, and I wanted to take the next step. I wanted to utilize the skills and education I gained in college to give back to my hometown Las Vegas, which was deeply impacted by the nationwide recession. I was interested in making the transition from direct service experiences to capacity building, strengthening programs, and making lasting changes by mobilizing large groups of people. The position at United Way’s Volunteer Center was a great opportunity to explore my hometown and help strengthen non-profits through large-scale service projects that helped to relieve poverty and revitalize the community. I have enjoyed working on diverse service projects that engage volunteers throughout the community, whether it be organizing a project to pack bags of food for hungry children, coordinating a city-wide food drive for local food pantries, or revitalizing schools throughout the city. I’ve loved seeing the different sides of Las Vegas that I did not notice as I grew up here. I have enjoyed meeting new friends, volunteers, and non-profits and working with great community partners eager to make a positive impact in Southern Nevada. 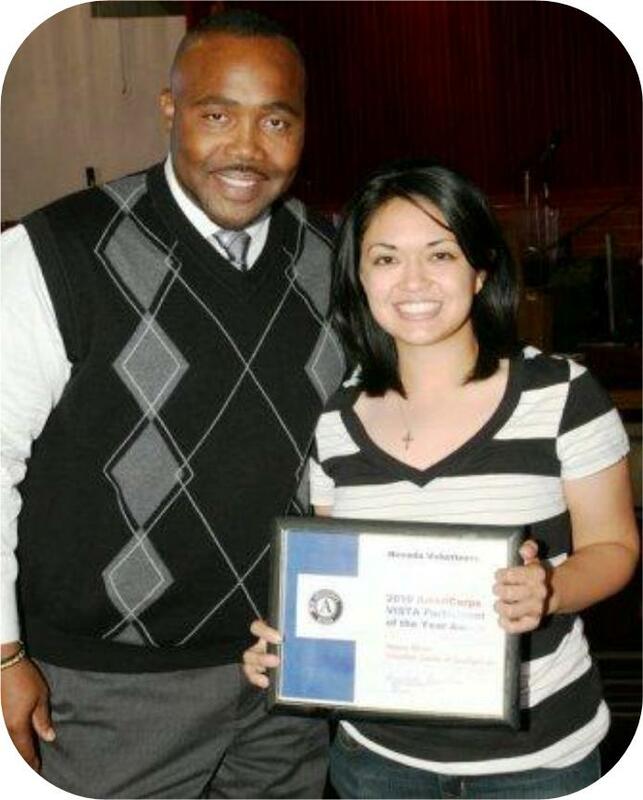 As part of National AmeriCorps week Natalie was honored as the 2010 AmeriCorps VISTA Member of the Year. Natalie Minev has been in the AmeriCorps VISTA (Volunteers In Service to America) Program since last June. She is a dynamo of event coordination and nonprofit outreach. Natalie organized the Volunteer Center’s September 11th Day of Service, which collected a whopping 3.5 tons of donated personal items, 400 banners, and 1,476 hand-written cards for the troops. She coordinated a Martin Luther King, Jr. Day Project at two local elementary schools, and tackled the National Letter Carriers Food Drive on May 8th, which was her biggest project yet. The Food Drive far exceeded last years donations with 401,922 pounds of non-perishable food being collected across southern Nevada. On top of all that, during her VISTA year, Natalie found time to reach out to 98 new nonprofits to understand their volunteer needs and make them partners of the Volunteer Center, which recruits volunteers for them. When she found a few minutes to spare, she busied herself preparing taxes for low-income individuals and staffing health and resource fairs. 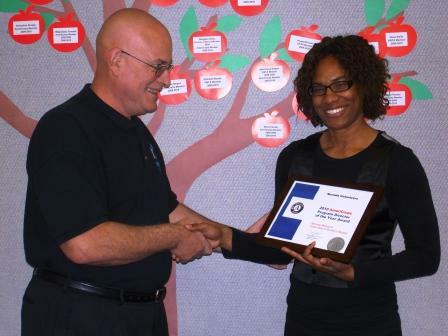 Natalie exemplifies the AmeriCorps spirit of getting things done! By becoming the next AmeriCorps VISTA Capacity Building Coordinator! AmeriCorps*VISTA is the national service program designed specifically to fight poverty. Founded as Volunteers in Service to America in 1965 and incorporated into the AmeriCorps network of programs in 1993, VISTA has been on the front lines in the fight against poverty in America for more than 40 years. VISTA members commit to serve full-time for a year at a nonprofit organization or local government agency, working to fight illiteracy, improve health services, create businesses, strengthen community groups, and much more. With passion, commitment, and hard work, VISTA members create or expand programs designed to bring individuals and communities out of poverty. By serving through VISTA, members gain new skills, friends, and experiences-plus they’ll receive the satisfaction that comes from helping others. During a term of service, members also receive a modest living allowance, health care, and other benefits. And, upon completing service, members can choose to receive either an education award worth $5,350 to pay for college, or $1,200 in cash. Click HERE to download the full Capacity Building Coordinator Description. If you feel a term as an AmeriCorps VISTA could be right for you please call 702-892-2367 and speak with Danny Horen for details on how to apply. The Capacity Building Coordinator will be selected by Friday, May 28, 2010 so interested applicants should apply immediately. If you know someone who would make a great VISTA member please forward this information to them and encourage them to apply. To expedite the process submit your application online HERE. Celebrate! It’s National AmeriCorps Week! AmeriCorps Week is a recruitment and recognition event designed to bring more Americans into service, salute AmeriCorps members and alums for their powerful impact, and thank the community partners who make AmeriCorps possible. AmeriCorps Week provides an opportunity for AmeriCorps members, alums, grantees, program partners, and friends to shine a spotlight on the work done by members in communities across the country — and to motivate more AmeriCorps to join AmeriCorps or volunteer in their communities. Spreading the word about AmeriCorps is especially important now, as the Edward M. Kennedy Serve America Act has put AmeriCorps on a path to grow to 250,000 members annually by 2017. To celebrate the accomplishments and hard work provided by National Service members in southern Nevada, United Way of Southern Nevada’s Volunteer Center is inviting all current and past National Service members to the 2010 National Service Member Celebration honoring each branch of National Service represented in southern Nevada including AmeriCorps, AmeriCorps VISTA, Senior Corps and Teach for America. You can download the invitation with all the details HERE. Please RSVP to Jennifer at JenniferL@uwsn.org or 702-892-2318 if you are able to attend. To find out more about what National Service members are doing in southern Nevada and to see if a term of service as an AmeriCorps or AmeriCorps VISTA member is right for you visit our AmeriCorps page and our AmeriCorps VISTA page. The AmeriCorps program is currently recruiting for Summer of Service members and will be recruiting for the 2010-2011 program year starting in July. For more details about AmeriCorps call Michelle at 702-892-2336. Congratulations Michelle Redmond & Natalie Minev! Natalie Minev has been in the AmeriCorps VISTA (Volunteers In Service to America) Program since last June. 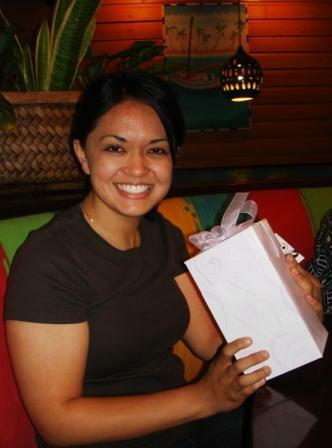 She is a dynamo of event coordination and nonprofit outreach. Natalie organized the Volunteer Center’s September 11th Day of Service, which collected a whopping 3.5 tons of donated personal items, 400 banners, and 1,476 hand-written cards for the troops. She coordinated a Martin Luther King, Jr. Day Project at two local elementary schools, and is tackling the National Letter Carriers Food Drive on May 8th, which will be her biggest project yet. On top of all that, during her VISTA year, Natalie found time to reach out to 97 new nonprofits to understand their volunteer needs and make them partners of the Volunteer Center, which recruits volunteers for them. When she found a few minutes to spare, she busied herself preparing taxes for low-income individuals and staffing health and resource fairs. Natalie exemplifies the AmeriCorps spirit of getting things done! Serve your community for a day, and we’ll Spring for the Preserve! Did you take advantage of the Disney “Give a Day. Get a Disney Day.” program but now you’re wondering ‘what’s next’? Did you find out too late that all the Disney tickets were reserved but still wanted to participate? Starting on Mother’s Day, Sunday, May 9th join us for VolunteerVEGAS. Serve your community for a day, and we’ll Spring for the Preserve! VolunteerVEGAS is brought to you through a partnership between United Way of Southern Nevada’s Volunteer Center and the Springs Preserve. Families with children ages 5 and up and volunteers will be able to sign up for a qualified volunteer opportunity with one of our participating partners. Once you have completed your day of service and it has been verified by the participating partner you will qualify to for a voucher for a FREE day at the Springs Preserve on the National Day of Service and Remembrance – Saturday, September 11th for the VolunteerVEGAS Appreciation Day celebration. We hope you’ll join us in support of our community and the many organizations that provide vital services to those most in need. By sharing your time and talents you help us to build a stronger, healthier and safer community. For a list of Frequently Asked Questions and Terms & Conditions click HERE. 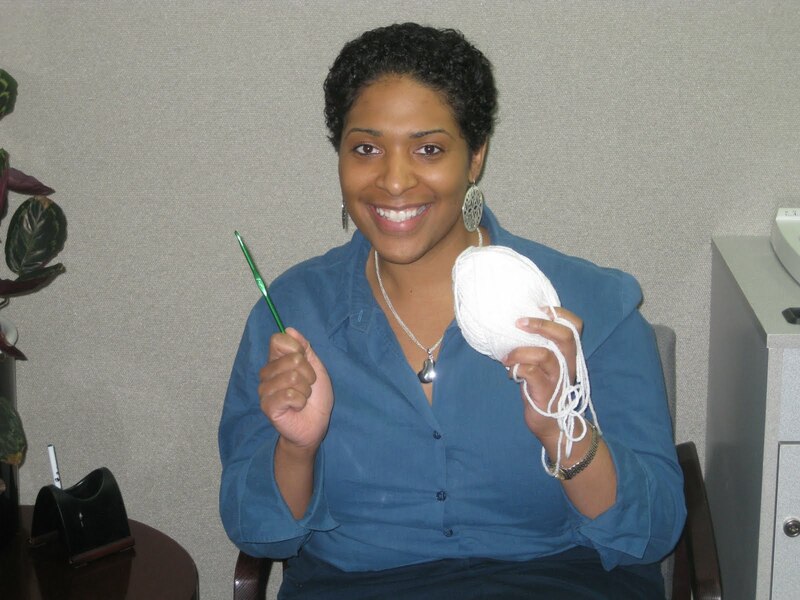 Jimmeka is the Project Leader for the Knotty Knitters volunteer opportunity. Volunteers are able to get together to learn to knit or crochet and their handcrafted items are then donated to a partner organization in need. It’s a fun way to learn a new skill and help those who can benefit from the comfort of a handmade creation. Find out more about why Jimmeka became a Project Leader and then join her at the next Knotty Knitters opportunity! Why did you decide to become a Project Leader? In high school I had a great time leading some community service projects through my involvement with Key Club. I kind of fell off the community service wagon through my college years and into my professional career though. I wanted to get back to making a difference in the community because I believe it is everyone’s responsibility to contribute to making our neighborhoods better places to live. I enjoy knitting and crocheting while watching movies or catching up on my favorite TV shows. I also enjoy outdoor activities such as hiking and kayaking. What is your favorite place to eat in southern Nevada? Yama Sushi in the Albertsons shopping complex on Maryland and Flamingo. Yum! What is one piece of advice you’d give to someone new to volunteering? Have fun with it! Volunteering not only helps people in your community but it also helps you meet people who have some of the same passions and interests as you. Knot into knitting? Find other opportunities to volunteer at www.VolunteerCenterSN.org. If you’ve been inspired to help others volunteer sign up for Project Leader Training and find out how you can share your talents and passion with the community. 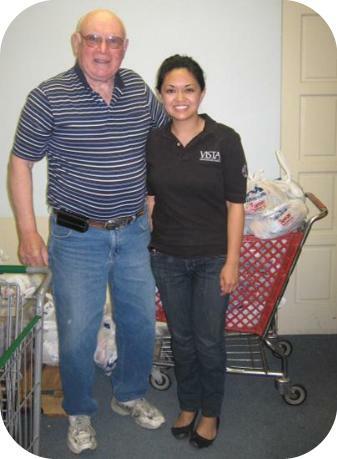 You are currently browsing the United Way of Southern Nevada Volunteer Center blog archives for May, 2010.